You will soon be able to tell who booked a room on the Room Resource. In Find a Time, simply hover over the event and you will see who Created (thus booked the room) the event. This can be extremely useful when you need to see if someone can “swap” a room with you. Here you’ll see the documents we think are most relevant to you right now. These machine-learning-powered suggestions are based on various signals from your activity. On each suggested document, you can also take actions in line, without navigating to the doc in question, like replying to a comment or reviewing recent edits. In Workspaces, you’ll be able to see intelligent suggestions of related content to group together for easier access— like multiple files related to the same project. You can also create your own personalized Workspaces collecting any files you have access to, including content stored in your My Drive and various Team Drives. Right-click on any file and select Add to Workspace to dynamically group files as you work. Google has made it simpler to add images inside of cells in Google Sheets. You can have multiple cells containing an image in a Sheet, but note that only one image per cell is possible at the moment. Images inside cells will be associated with a row and move along with the data—so, if you move rows, filter or sort them, the images will move with the content in the row, unlike previously when images would sit on top of the grid. Using the formatting and alignment tools, you can pin the image to a specific corner of the cell or set the alignment how you’d like. By default, images will align to the bottom left corner of the cell. Google Document Sharing – Personal Groups are Back! In a recent post, Google Document Sharing, I noted that you could no longer pick a “group” that you had created when sharing documents. Well, that ability is now back! You can once again share documents with a group that you have created in your Google Contacts. This new display makes these tools much more discoverable. (These have always been available via the “Ninja” button, but this change makes them easier to find and use). You can still use the Advanced Search box (via the “Ninja” button or Advanced Search link) to quickly find documents. This new presentation makes it a bit easier. You can also use these together. For example, if you know that you are looking for a spreadsheet, you could click on the spreadsheet button in this panel. Then, in the Search box, you could type some words that are in the title or in the spreadsheet (you will see “type:spreadsheet” already in the search box, just add the words after that). Need to run spell check in Google Docs? Now it’s easier than ever. There is now a button between the printer and format painter to quickly check spelling. This will produce a panel on the right with suggested options. According to the latest schedule, as of October 16th, 2018, any users who’ve opted out of the new Gmail will be automatically migrated to the new experience. They won’t be able to opt out after that date. Users who’ve already transitioned to the new Gmail will lose the ability to opt out as well. I’m reminded of the adage that the only one who likes change is a wet baby. So, why is Gmail changing? Personally, I like the new interface. It provides some good tools to increase efficiency. However, I understand that not everyone feels the same way. Increasing security is an extremely important consideration at this point of the Internet development. You can choose to switch back and forth between the versions until October 16th. Then, the decision on which to use will be easy . One of the basic computer skills that everyone should have is the ability to “bookmark” sites. This can be especially handy for forms that are needed to be completed. Forms such as the Response to Bullying Behavior, lunch counts (for some schools), or intervention plans should be handy. We’ve prepared a Bookmarking Help Sheet to assist. Google has “helpfully” switched everyone over to the new Gmail interface. While we really, really like the new interface, we understand that some may prefer the older interface. At this point, you can still switch back by using the setting menu. According to the release calendar, as of October 16th, everyone will be switched to the new interface permanently. 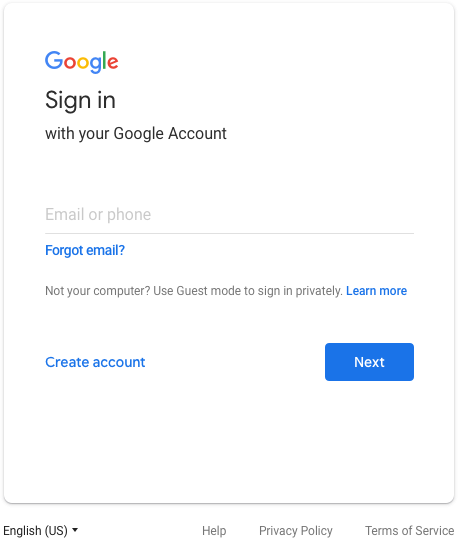 Those eagle eye users will notice a difference in the Google Log in page over the next couple of weeks. No need to worry, it is planned and legitimate. Some of the changes will include tweaks to the Google logo, an outline around the text field, and center alignment of all items on the screen. The new Gmail update has rolled out. We’ve started training on the interface (it really doesn’t take much training, but there are additional features that you can utilize). One of the “hiccups” in the new Gmail interface was that .wav files (phone messages) wouldn’t play. This has now been resolved. Google is making some updates to the look and feel of Google Drive on the web. There’s no change in functionality, but some icons and buttons have moved, and there’s a range of visual tweaks to align with Google’s latest material design principles. 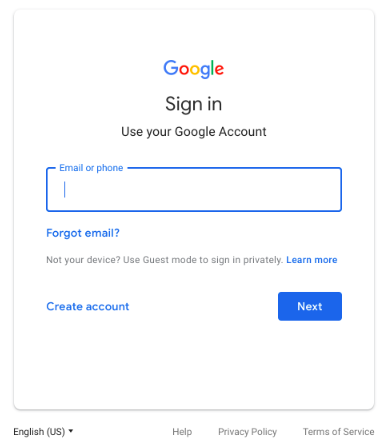 Google built that this new interface to create a responsive and efficient experience for Drive users, and to feel cohesive with other G Suite products, such as the recently redesigned Gmail. Our Dearborn Students First Logo ( ) is now in the top right. These changes will be rolling out in a couple of weeks.